This is a Day of Service to honor the memory of Dr. Martin Luther King, Jr.
Saturday, January 19 from 1 – 3 p.m.
Tree canopy protects watersheds and provides cooling shade, food, and habitat. 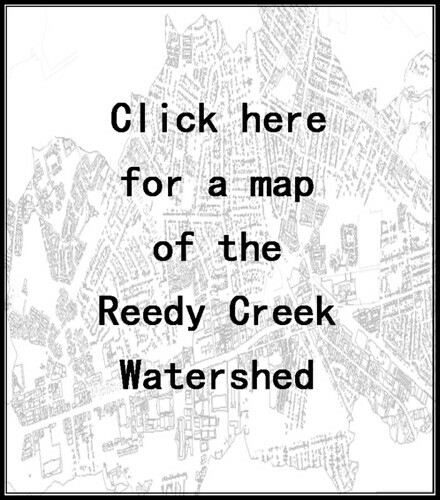 Reedy Creek Coalition is looking for a few more volunteers to join our water quality monitoring team. Sample collection occurs once a month and takes about two hours; on the job training is provided. 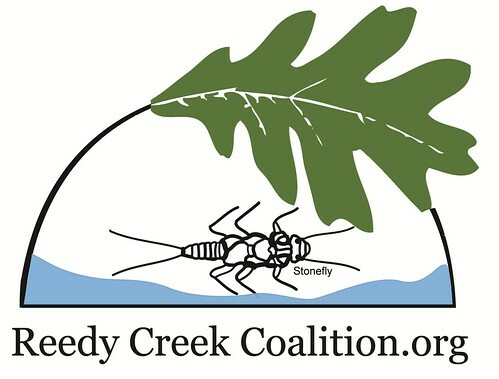 If you are interested in helping or if you have questions please contact us at reedycreekcoalition@gmail.com . Our monitoring activities can make a difference right here in our own neighborhood. Back in 2012 during our travels along the stream we found what appeared to be a potential hot spot for E. coli; our sample collection confirmed these suspicions. We contacted Richmond’s Department of Public Utilities who investigated, found and repaired a sewer leak. Click here for that story. This is Citizen Science at its best! Please join us. 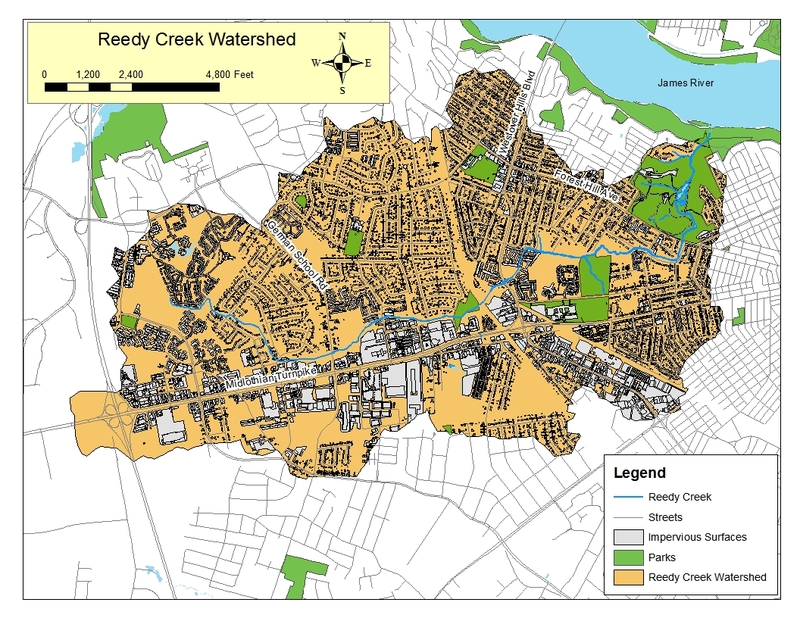 Invasive Plant Removal: Why does your local watershed group think this is important? Crooked Branch Ravine Park acts like a sponge, soaking up rain water and keeping it where it falls. It is also home to many native plants that support wildlife, including warblers and other song birds on their long migrations. The circle indicates the approximate location of Crooked Branch Ravine Park. Sunday, January 6 from 1 – 3 p.m. or as long as you can stay.